Investment cast is also called the “lost wax casting”. It is usually refers to the fusible materials made of appearance. The appearance is coated on the surface of a plurality of layers of refractory materials made of shell. Furthermore then melted fusible materials discharged out of the shell. Consequently to obtain no parting surface mold, after high temperature baking it can fill sand to cast. Available investment cast for alloy production are carbon steel, alloy steel, heat-resistant alloy, stainless steel, precision alloy, magnetic alloy, bearing alloy, copper alloy, aluminum alloy, titanium alloy, ductile iron, etc. The shape of the investment cast is more complex, generally the minimum hole diameter can be 0.5 mm, the minimum wall thickness is 0.3 mm. In production some individual parts can be designed directly to be integral part by changing the structure manufactured by investment casting. The process can save time and decrease the consumption of metal and make the parts structure more reasonable. The weight of the investment castings are from a few grams to 10 kilograms, generally not more than 25 kg. More trouble in production if it is too heavy for investment casting. And also not easy to control. Meanwhile the material is more expensive. So it is suitable for the production of parts which are complex shape, high accuracy, or some small parts which are hard to machining, such as turbine engine blades, etc. The size accuracy of investment castings is higher, generally up to CT4-6 (sand casting is CT10 ~ 13, die casting for CT5 ~ 7). At first the biggest advantage of investment casting is high dimensional accuracy and surface finish. So it can reduce machining work, just left a little machining allowance. Therefore, it can save processing time, machining equipment and greatly save metal materials. Furthermore the other advantage of investment casting is that it can cast all kinds of alloy of complicated parts, especially high temperature alloy castings. Such as jet engine blades which streamlined profile and inner cavity for cooling are hardly formed by machining process. So it can not only achieve batch production, ensure the consistency of the castings, but also avoid the stress concentration of residual knife after machining. The first step is to create investment pattern. Which is cavity model to form refractory shell. So to get high dimensional accuracy and surface finish of the casting, the model itself should have high dimensio accuracy and surface finish. In addition, the performance of the model itself should also make the next process of shell manufacturing as simple as possible. To obtain the high quality mentioned above we should have good pressing mold, choose the appropriate molding materials. So it requires proper molding process. When wax base model material is used in the system, the oil on the surface of the mold should be to get rid of in order to improve the coating wetting ability on the surface. Stirring well, as far as possible to reduce the refractory precipitation, adjust viscosity or density so as to make the paint filling and wetting mold well. Soaking your mold in the paint, shaking to make the paint wet mold well and evenly covering the surface. Then sanding on the surface can be going. Each layer of shell will to be drying and hardening. To make the paint in the adhesive from the sol to gel and ties the refractory material. Each coating of shell should be dried and hardened to get the refractory material together. Mold should be molten out from the shell after completely hardened. The material for mold commonly is wax. Therefore this process called dewaxing. More method used are hot water method and pressure steam method. For sand filling the shell should be buried in sand after demoulding and then reload furnace for roasting. If the shell does not need to model casting, it can send to roasting furnace directly. Slowly increase the roasting temperature to 800-1000 ℃, keep warm for a period of time and then cast can work. This is one of the casting method, pouring at high temperature after the shell taken from the roaster. The shell cool slowly and the liquid can fill mold well. Consequently the castings can replicate the shape of the cavity. 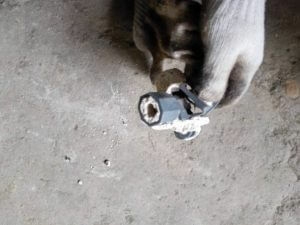 Furthermore improve the accuracy of the castings. But slow cooling can make coarse grains which reduces the mechanical properties of castings. As for carbon steel casting, the surface cooling slowly is also easy to be oxidation and decarburization, reducing the surface hardness, finish and dimensional accuracy. Put the shell in vacuum pouring box by sucking gas through the tiny pore in the cavity, make the liquid metal filling mold better, copy the shape of the cavity, improve casting accuracy and at the same time to prevent the pores and inadequate pouring. Put the shell in pressure tank and when pouring finished, immediately sealing pressure tank, pour into high pressure air or inert gas, make the casting solidification under pressure, so as to increase the density of castings. Some investment castings such as turbine blades, magnetic steel, if their crystal structure is in a certain direction of the columnar crystal, their performance will improve a lot. So the investment casting directional crystallization technology developed rapidly.